Talkboy was originally supposed to be a dumb movie prop until some genius decided, No, let’s make it for real. So, after Home Alone 2: Lost in New York was released in 1992, a working retail version soon followed. That meant every young nitwit lucky enough to own one was pretending to be someone else and using their dad’s credit card at expensive luxury hotels in New York. My parents never bought me one. Some backstory: The Talkboy was a grotesque nerd trophy, a device mischievous kids used to terrorize and torment their big sisters. And what kid across America didn’t want to inflict mental anguish upon their older sibling? In that sense, it’s easy to see the appeal of the Talkboy. But it was more than that. Not only does it look delightfully futuristic, but it let you record your voice (or someone else’s) for the purpose of bamboozlement. It was the equivalent of performing a Jedi mind trick. The commercial (below) doesn’t lie. But more than just recording a person’s voice, the high-tech gadget featured a brilliant switch that let users toggle between normal and slow playback. That meant recorded audio could make you sound like demon spawn. And apparently people think that normal audio slowed down makes you sound grown up! Again, the commercial does not lie. 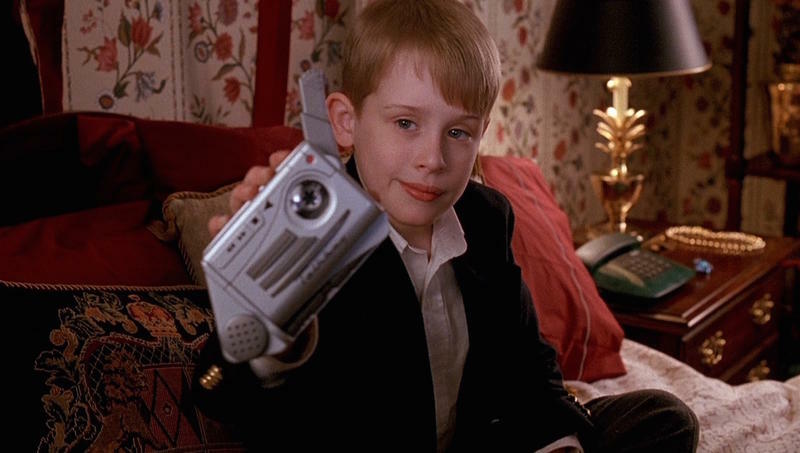 Kevin McCallister, who made it OK to steal, trespass and set people on fire, carries the Talkboy around in the second Home Alone as if it’s a valuable treasure. And, ultimately, it’s what kicks off his whole adventure. While dashing through the O’Hare International Airport with his family, Kevin decides to stop in the busiest part of the terminal, and ultimately winds up on the wrong flight. Oh, Kevin! He never learns. But rather than trying to contact the authorities to say he’s lost, Kevin soon realizes what an opportunity it is to be in New York unsupervised. His first instinct is to visit the five-star Plaza Hotel he once saw in a commercial, where he uses the Talkboy’s slow speed function to perfection. And just like that, Kevin is able to check-in, sight unseen, while attaining all the best amenities a luxurious New York hotel has to offer. It was a brilliant display of ingenuity, and perfectly demonstrated why the Talkboy became so popular among younger audiences. It’s funny: there were no plans to ever make the Talkboy until executives were convinced following a letter-writing campaign from fans. Is that a case of a toy company giving kids what they want, or capitalizing on the naivety of its target audience? 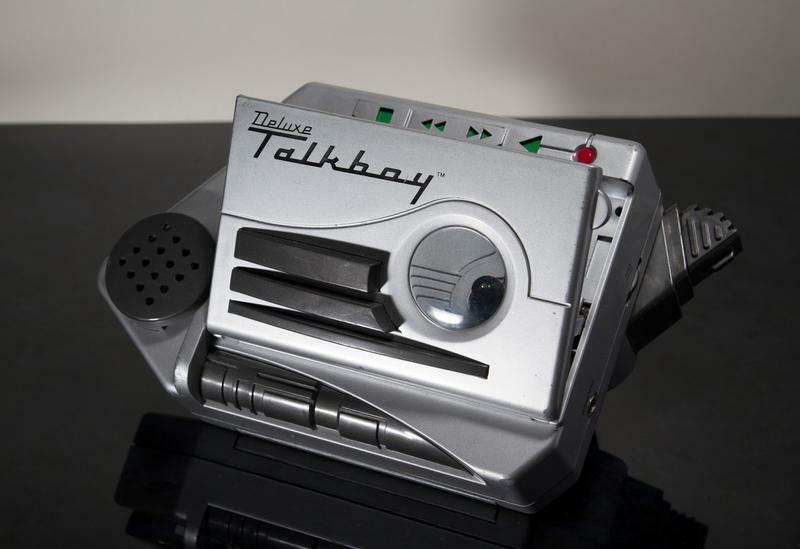 The Talkboy is featured one last time later on in the film, used to fend off the advances of a suspicious concierge who sneaks into Kevin’s hotel room. It’s a ridiculous, improbable situation, and there’s no way the real-world audio from a cassette handheld device would have been that convincing. But it was enough to fool Tim Curry, And Tim Curry (so I hear) is nigh impossible to fool. 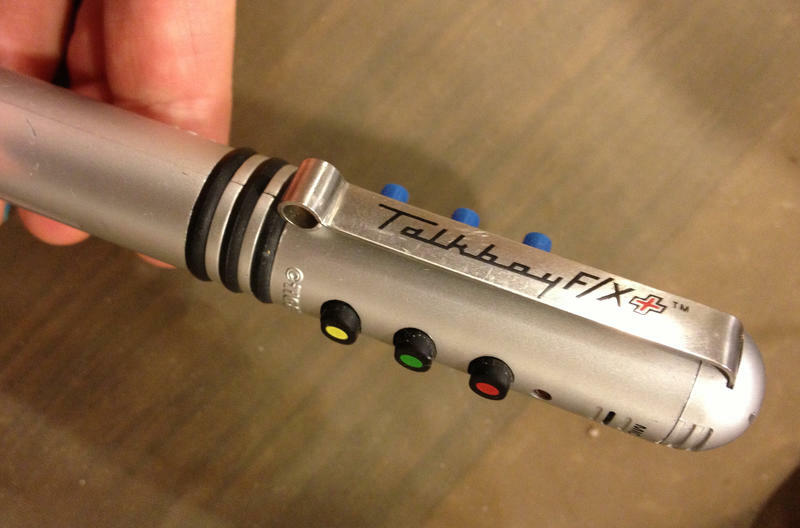 As with anything that’s good and pure, several spinoff versions of the Talkboy were produced, including a deluxe model, the Talkgirl and even a Talkboy disguised as a pen. If that’s not cool, I don’t know what is. 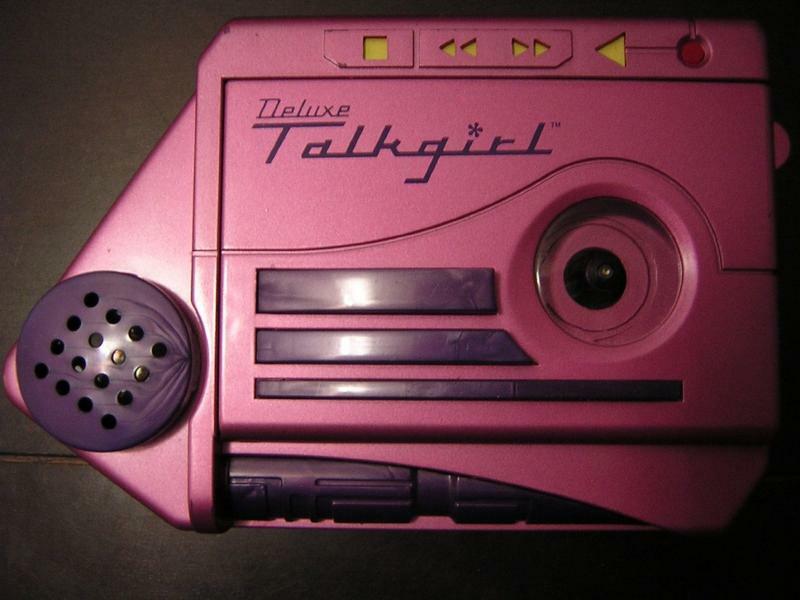 The Talkboy was probably one of the best toys of the early 90s. It looked great and had some pretty awesome functionality. It indulged the most devious urges of every young boy and girl, and was ultimately marketed as a tool best used for deception. In other words, it was the perfect McCallister companion.